FAIRLAWN, OH—An anniversary is a time of celebration, but the milestone can also elicit some reflection and even spark vision for the future. This year, the Hilton Akron/Fairlawn has marked 50 years in business and its team touts the property as being the longest continuously owned and operated franchise property in the history of Hilton properties in the world — quite a feat. The company’s core values have guided the business throughout the years: “Our mantra has always been continuous improvement all the time—in our facilities, in our staff, in the community, and in ourselves—and our attention to detail does not go unnoticed,” said Andreoli. Over 50 years, Andreoli has developed his own recipe for success and the hotel’s longevity: develop great employees. The company’s focus on employee development has reaped rewards, including the hotel being recognized for its employee service with numerous exemplary service awards throughout the years. “Small acts of kindness are a big thing for us—both inside and outside the hotel (in the community)—with philanthropy being a cornerstone of our efforts and a big part of our culture,” he said. Staying relevant and working to make positive enhancements to the overall Hilton experience has also added to the company’s success. “This is a highly competitive market, and you need to constantly evolve with customer expectations for beauty and aesthetics. And, at the Hilton Akron/Fairlawn, that’s just what we do,” he said. Having a variety of available services for guests is also very important. “Our facility includes the award-winning Beau’s Grille restaurant, indoor and outdoor swimming pools, a fitness center, flexible meeting rooms, a 24-hour business center and complimentary high-speed FairlawnGig internet access,” he said. 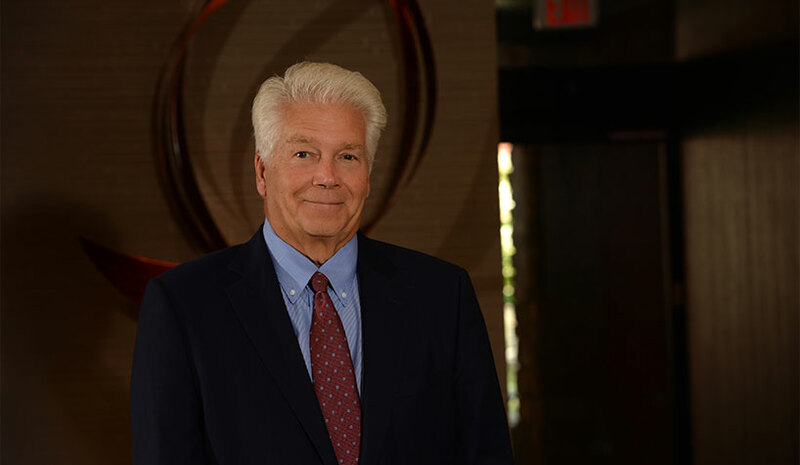 Andreoli is most proud of weathering (and surviving) the franchise business for 50 years, and for being the first in the world to achieve 50 years as a Hilton franchise. In terms of the brand’s impact, Andreoli talked about the “Hilton Effect” and how it aligns with his business in terms of the hotel’s guests, team members and the larger community in which the property resides.